Nothing sells better than social networking sites does!! A video of a woman calling cops on an 8-year old girl selling water outside her SoMa apartment building went viral Saturday. The video was shared on Instagram by the little girl's mother. The post has over 777 thousand views in less than a day span. The woman who is alleged of calling cops on a child has denied that she called the cops. An 8 year old selling water in front of her apartment building where she’s lived her whole life is NOT a reason to call the Police. the small girl's mother wrote in the video caption. The young girl, whose identity hasn't been revealed, was on the sidewalk on Friday, calling out, "cold water, two dollars!" In the video, the woman on the phone who is identified as Alison Ettel, walks away and crouches behind a stoop, but is followed by the little girl's mother, filming. 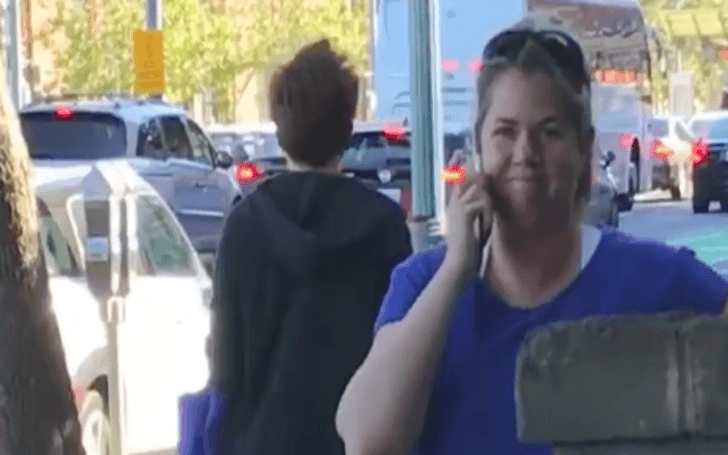 This woman doesn’t want to let a little girl sell some water; she is calling police on an 8-year-old little girl,” the woman filming says as she walks after Ettel. You can hide all you want; the whole world gon’ see ya, boo. Yeah and, um, illegally selling water without a permit? Ettel can be heard saying on the phone. On my property, retorts the little girl's mother while filming. In an interview, Ettel has reported that the little girl and her mother had been making noise for several hours and she lost her temper. Ettel said she made asked the building's security to take care of the issue but then got into an argument with the girl's mother that escalated to the exchange seen in the video. Ettel added she only pretend to call cops.